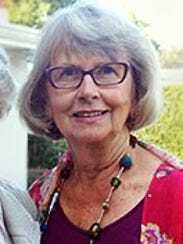 A 73-year-old retired librarian playacting as a victim in a "shoot/don't shoot" exercise at a Florida police community event was shot and killed Tuesday night by an officer who mistakenly fired live ammunition instead of blank rounds, according to Punta Gorda, Fla., police. Mary Knowlton was shot several times by Punta Gorda police officer Lee Coel playing a "bad guy" in the scenario designed to demonstrate the quick decisions police must make on the job, said Sue Paquin, a photographer covering the event for the Charlotte Sun. Punta Gorda police Chief Tom Lewis said Knowlton was "mistakenly struck with a live round." She was taken to a local hospital where she died. Lewis, who was at the event when the shooting occurred, said Wednesday that Coel was "very grief-stricken" over the incident and that officers had been assigned to him "to make sure he is psychologically stable." Coel has been placed on administrative leave pending the outcome of the investigation by the Florida Department of Law Enforcement, Lewis said. The 28-year-old had participated in similar public role-playing scenarios presented by the department.